This Bavarian recipe is always the star of any party, picnic or meal it is a part of. 1 Brush or spray both sides of the onion slices with 1 tablespoon of the oil. Grill over Direct Medium heat until tender, 8 to 12 minutes, turning once. Cut into 1/4-inch pieces. Cut the potatoes in quarters and put them in a large bowl with the remaining 2 tablespoons of oil, salt, and pepper. Grill over Direct Medium heat until tender inside and crispy outside, 15 to 20 minutes, turning every 5 minutes or so. 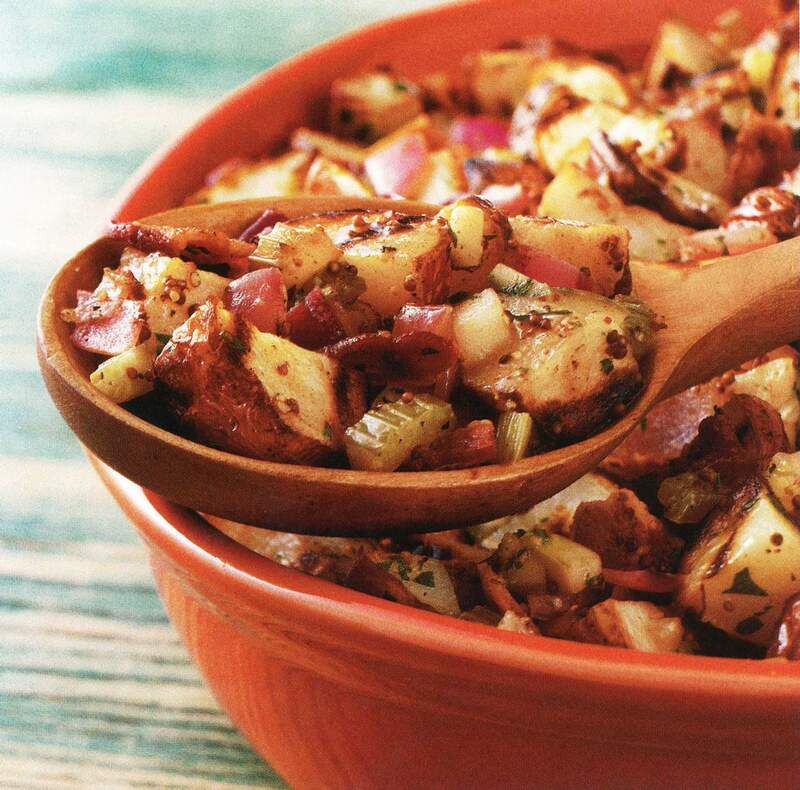 2 Begin making the dressing while the potatoes are grilling: In a 12-inch skillet over medium heat, cook the bacon until crispy, 8 to 10 minutes, turning occasionally. Drain the bacon on paper towels. Pour off all but 3 tablespoons of the bacon fat in the skillet. 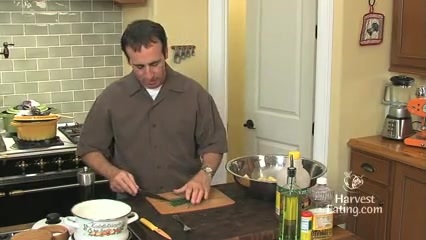 Add the celery to the skillet and cook for 3 minutes. Add the sugar, and continue to cook until the sugar is dissolved and the celery is cooked through, 2 to 3 minutes, stirring occasionally. Add the vinegar and 1/2 cup water; cook until bubbling and slightly thickened, about 2 minutes, stirring occasionally. Reduce the heat to low. Add the mustard, pepper, and salt, stirring until combined, and cook 2 minutes. Remove the skillet from the heat; add the bacon pieces and the onions, tossing to coat with the dressing. 3 Transfer the potatoes from the grill to a cutting board. Cut each potato quarter in half and place in a large serving bowl. Pour the hot dressing over the potatoes, mixing gently to coat. Add the pickles and parsley. Toss gently and serve warm or at room temperature.